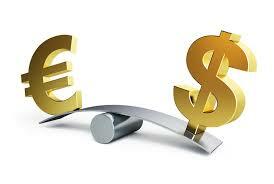 The upbeat tone around the single currency stays unchanged at the beginning of the week, with EUR/USD in a consolidative mode around 1.0870. The pair is looking to stabilize around current levels, partially fading the spike to fresh 2017 tops in the 1.0920 region seen during overnight trading. Spot has started the week on a solid form after yesterday’s win by centrist Emmanuel Macron at the French presidential elections has morphed into a wave of buying orders for EUR. By the same token, the common currency has been benefited by the relief-rally in response to the performance from far-right candidate Marine Le Pen, who will again face Macron in the second round on May 7. Currently, and according to latest polls, Macron would be winning 61%-39%. In the data space, German IFO figures came in on a positive tone for the current month, while in the US calendar, the Chicago Fed National Activity Index dropped to 0.08 in March from 0.27. At the moment, the pair is gaining 1.30% at 1.0867 facing the next hurdle at 1.0905 (high Mar.27) followed by 1.0920 (2017 high Apr.24) and then 1.1000 (psychological handle). On the flip side, a breach of 1.0838 (200-day sma) would target 1.0821 (low Apr.24) en route to 1.0780 (high Apr.20).